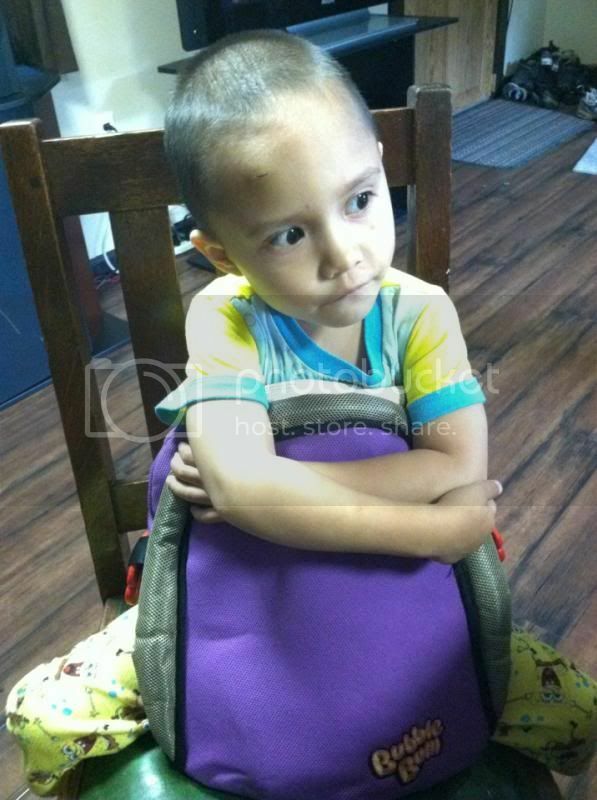 BubbleBum recently reached out to me to review their inflatable car booster seats, which retail for $39.99. I was happy for the opportunity to “level up” my son’s car booster seat and switch to a BubbleBum, because it is so much more efficient than the humongous one we used before. I am very concerned when it comes to car safety, and I understand that car booster seats were designed to be bigger to protect our precious ones from unexpected accidents. Nevertheless, there are times when you have to switch cars and you need to transfer car seats between vehicles. During these times, having a gigantic car booster seat is way too much work. Not only was the previous car seat too heavy; it also took up way too much space. Well, anyways, I am glad BubbleBum provided the car booster seat for the review, just in time before I had to “level up” my son’s car seat. This helped me save money and time, and I was happy for the opportunity to share my understanding of the product with my readers. 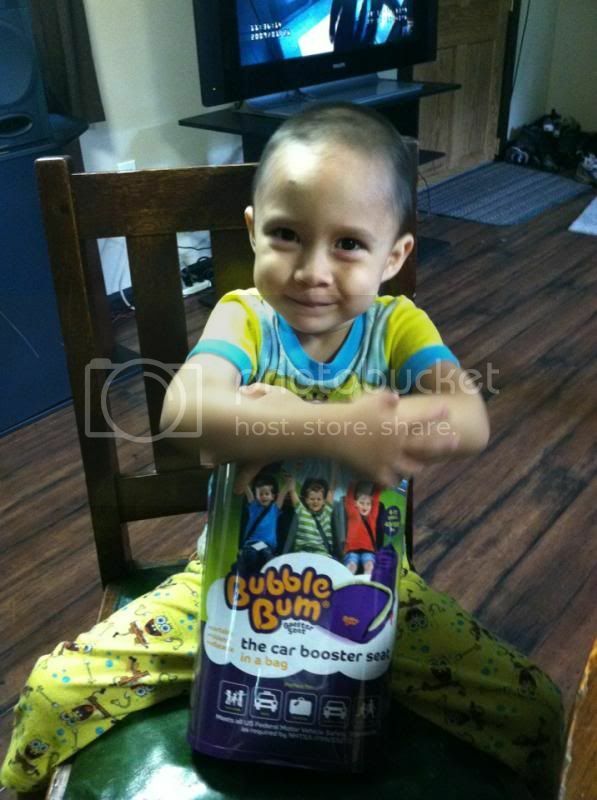 · When my BubbleBum booster seat first arrived in the mail, my first reaction was “WOW!” because it was much smaller than I thought it would be. It arrived in a rectangular box that was smaller than half the size of other car booster seat boxes I had seen before. 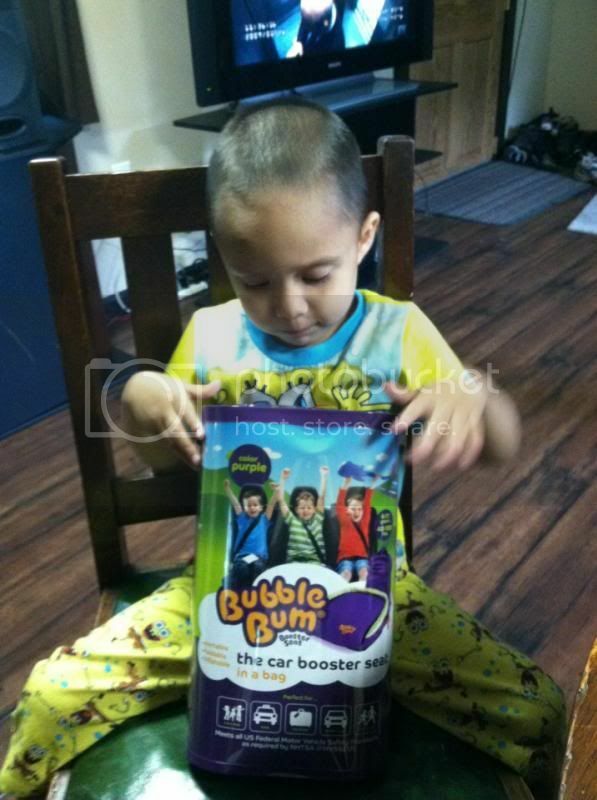 · When I opened the package, I was very impressed with BubbleBum because it was 10 times lighter than the other booster seats I was used to. · BubbleBum is very handy and convenient for travels! If only I had gotten this before! I would have made my international flight so much easier. · The booster seat inflates in minutes and can easily be deflated when not in use. · BubbleBum’s durability is also very secure, which makes you love the booster seat even more. · The product comes in black and purple, which is great. · I like how BubbleBum came with a carrying bag, so that I can fold and store the product when my son isn’t using it. · BubbleBum’s material is of high quality. 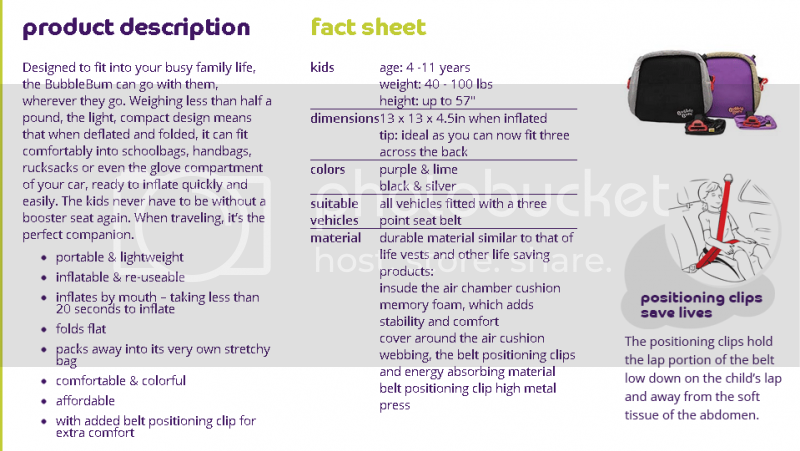 · The user manual also contains important information about the booster seat’s safety, as well as very direct instructions on the product’s installation. · BubbleBum is perfect for carpooling and traveling by taxis and school cars, as it is portable, foldable, and inflatable. It can also be easily carried and stored in a bag or backpack. · BubbleBum is lightweight and quick and easy to use. · The car booster seat is perfect for kids aged 4-11 years and between 40-100 lbs. Overall, my experience with the BubbleBum car booster seat was fascinating. I love how it meets all safety standards and is very convenient for my son and me. I now have a greater understanding of the product and am pleased BubbleBum created such a unique and beneficial car booster seat for everyone’s convenience, especially mothers. For more information, and if you have inquiries about the product, please call 1-800-969-6586. You can also visit their website and to make a purchase. Please follow them on Facebook, Twitter, Pinterest, and YouTube to be the first to get new updates on the BubbleBum inflatable booster seat. When you do own a BubbleBum inflatable booster seat, don't forget to register it at www.myboosterseat.com/carseatregistration. My kids haven't used theirs as we always drive in a van where seats are higher and doesn't need boosters. I am sure, Chaos would love it. That sounds perfect. I mean for having that kind of vehicle, no hassle at all. Yes he does and would want me to use it now for him. but still have a year before he can use that in the car. I think this is a good concept. I don't know that I would use it all the time if I had small children but I would use it in a pinch. Love this booster carseat because it's portable and we can take it anywhere we go including international travel. That's what I have in mind jheylo, I can now take this with us on our next international flight. What an innovative idea. These would be perfect for traveling with other family members. My son has one and uses it sometimes on grandma's car.